Over 40 years ago Francis (Frank) Kalemera Kalimuzo visited Lake Bunyonyi and appreciated the natural beauty of the lake. He liked the lake so much; he decided to make it his home. About 1963 he started putting up the first building at the lake. The building was meant to be his home, but this never happened because even as he built, tourists asked to stay there. The hotel was completed and people from Kabale and afar flocked to the hotel. This was the beginning of tourism at Lake Bunyonyi. Frank Kalimuzo was born on September 24, 1925. He studied education at Makerere University graduating in 1946. He then worked as a schoolmaster at King's College Budo, until he was admitted to the University College of Aberystwyth in Wales for further studies. There he majored in economics and graduated in 1955 with an honors degree. After this he was invited to Wadham College in Oxford where he studied the Overseas Course B for one year. On his return to Uganda he served as an Assistant District Commissioner for several years till he was appointed to be the Secretary of the Constitution Committee that was mandated to seek out views from across the Uganda Protectorate on the future constitution of Uganda and the form of direct elections to the legislative council. Frank Kalimuzo married Esther Consullatta Rwabuhungu in October of 1958. A military coup in 1972 brought drastic change to the history of Uganda, and to the fortune of Frank Kalimuzo. Frank's close association to former President Obote was looked on with suspicion by the new President Idi Amin. Early October 1972 members of the notorious Public safety unit raided Frank Kalimuzo's home and arrested him. Frank Kalimuzo, like many others who were to follow, fell victim to Amin's reign of terror. He was never seen again. Frank Kalimuzo is survived by a wife and seven children. But the legacy that he left continues to grow, given the fact that he was one of those Ugandans whose devotion to work and patriotism was remarkable. The University of Cambridge offers an annual scholarship award to a student from Uganda (The Kalimuzo ODA Cambridge scholarship) in honor of Frank Kalimuzo. Uganda as a nation fell into the most destructive era of this generation. The property and life of several people was destroyed. The hotel at Lake Bunyonyi was occupied and vandalized by the soldiers of Amins regime. Frank Kalimuzo's widow tried desperately to keep the hotel running, but the whole nation was falling apart. 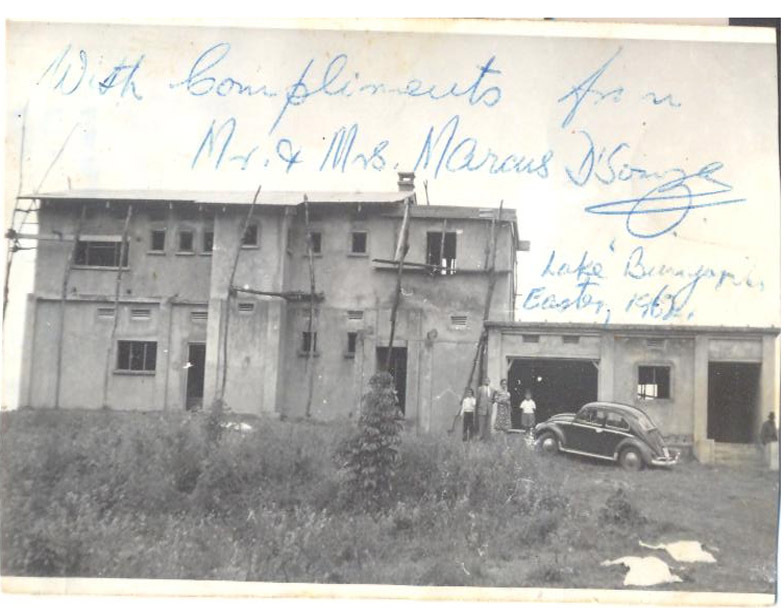 The road from Kampala to Kabale was ruined, and the hotel was soon vandalized to the bone. It became a painful ruin. Subsequent change of regimes in Uganda eventually brought the rule of His Excellency President Yoweri Kaguta Museveni. The new President brought peace and stability to the nation. Tourists once more started to visit Uganda. A group of Belgian investors soon happened on the hotel in its ruined state. The investors were able to locate the widow of Frank Kalimuzo, and negotiate to renovate the hotel. The original hotel was built over and expanded from a four bed roomed lodging, to the fourteen roomed building that you now see. Make sure you don't miss latest news and get notices about our new promotions! © Copyright 2017 by Beatle. All Rights Reserved.